Grab this one fast! 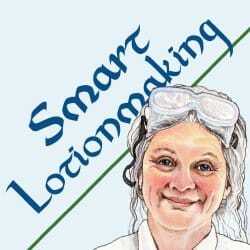 Smart Lotionmaking: The Simple Guide to Making Luxurious Lotions, or How to Make Lotion from Scratch That’s Better Than You Buy and Costs You Less is super popular on Kindle, and right now it’s free. Learn how to make your own lotions at home while both saving money and avoiding ingredients that are bad for your skin. This book was FREE at the time of posting (July 24th). But, make sure you check the price before hitting the 1-Click button. You do NOT need a Kindle device to read this book. You can download a FREE Kindle reading app to your Mac, PC, phone or tablet. You may also be able to read this book via the Kindle cloud service. It is not free it is 0.99 for the”free” book. Sorry.